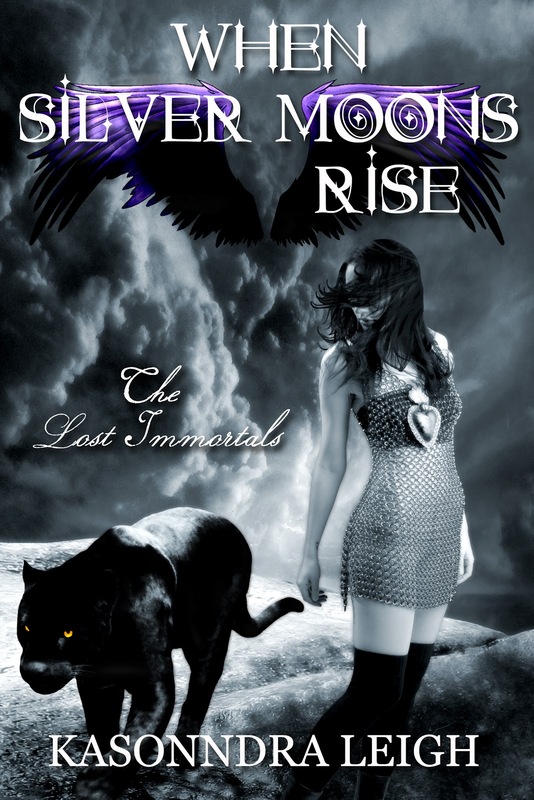 Today is the last day of November and that means we are saying goodbye to our Indie Author of the Month, KaSonndra Leigh. But the fun isn't over just yet. 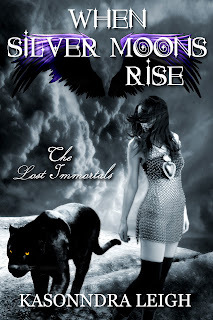 The author is giving our readers a sneak peek at the second book in her Lost Immortals series, When Silver Moons Rise. Enjoy! “What are we doing? Is this a dream?” I say as I glance around Faris’s cell. “Yes and not really,” he says. “Our bond is causing this. Through our connection, your spirit can communicate with mine,” Faris explains. I stare into his eyes, those liquid pools of silver fire pouring into my soul. He lifts a hand and caresses my cheek. I wrap my arms around him, pulling his body against my chest. He’s gotten so thin, and I’m so worried about him. The boy in my arms is just a shadow of the warrior I left back at the Oceania. I pull back and glance around the room that has kept him a prisoner all of these months. Memories of the agony, his screams, and the pain he felt when he was inside that machine sitting across from us, all come back to me. Tears sting my nose. Our connection holds steady, and our love remains true. “You shouldn’t be here, Chela.” His voice sounds tired, and his handsome face is so thin. “It’s only a dream, right? That means no one can hurt me,” I say. “Chela, I--you have to…” I place two fingers on his lips, silencing him. “I beat the crap out of death in order to find you. Don’t you dare tell me to leave. Save your strength for when I come back to rescue you,” I say. He gives me a sad smile. His dimpled grin isn’t even the same. I don’t like the way his breathing sounds, either. Each breath sounds like a struggle for him. But the way he stares at me right now erases all of the doubts that have haunted me. In this moment, I realize I don’t want to spend another moment alone. I don’t want to inhale another breath without the boy I love by my side. I want him, all of him. We’ve suffered and waited long enough. “Kiss me,” I whisper. He closes his eyes, inhales deeply, and moves his lips toward mine. Thanks so much for hosting me on your wonderful blog this month Reader Girls! I can't wait to read this!!!! What an amazing Teaser! Hugs!